The inverter market demands are on the rise nowadays due to the frequent power interruptions that cause huge losses and wastage of time and raw materials used for production works. Power cuts and blackouts often cause huge issues in industries like hospitals, water supplies, production units, etc. Hence, inverters are an absolute necessity to ensure that all the industries work smoothly without any loss of time or money. If you are someone who owns a company in Chennai, or even live in Chennai and is looking for a solution for the power breakdown issues, the first thing you need to do is to find the inverter dealers in Chennai. Try to find the best brand of invertors by inquiring around your neighborhood and friends. You could even check the internet and get some idea of the ideal dealer and brand for you. Then you could proceed and buy the inverter for your home, company or industry. In India, the need for inverters and UPS systems is on the rise as modern life seems impossible and incomplete without them. The hospitals, MNCs, hotels, farms, media houses and many others use UPS systems. The metros also need regular electric supply to function properly. India is on the path of huge economic growth, and the uninterrupted power supply is a necessity for the growth. The need of UPS is increasing as the technology advances and as the country grows economically. The UPS dealers in Chennai offer high-quality UPS for all types of industries, companies and also for domestic purposes. 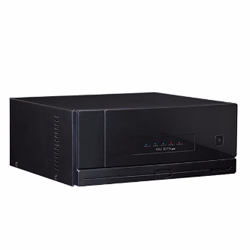 The manufacturers of UPS often maintain a tie-up with the makers of component parts. They have to ensure that they always get the most technologically advanced parts and keep on updating their products along with the growth of technology. Both the inverter market and UPS market has to face stiff competition as there are too many dealers in the field. The continuous power shortage issues have given rise to an increased demand for both inverters and UPS systems. The government has hence taken the initiative to work on the National Solar Mission. When the inverters with solar power become reliable, the UPS usage also will increase. In short, solar energy is one of the most determining factors governing the increase in demand for inverters and UPS systems. Net metering, as well as the integration of sine wave UPS systems and inverters, is coupled up with software and communication technology as a part of the emerging technological advancements in the field. Inverter Online Shopping Makes Inverter And UPS Purchase Easy As Pie! Nowadays, there is no need to go and visit the store to buy an inverter or UPS. 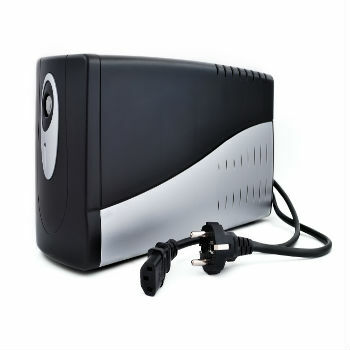 You can just sit in the comfort of your home and browse the wide range of inverter and UPS dealers and brands online. You get the product delivered at home without any hassles. The UPS manufacturers face many hassles in the field. The major issues that crop up are the management of raw materials, procurement of machinery, skilled workers, and even getting a large land area to build up the manufacturing unit is a difficult task.